There was a bit of a plume moth bonanza at the factory today. 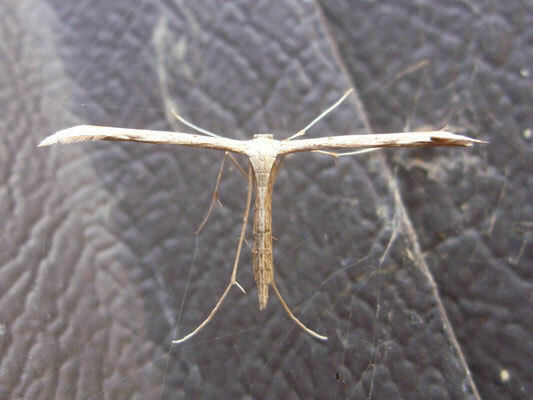 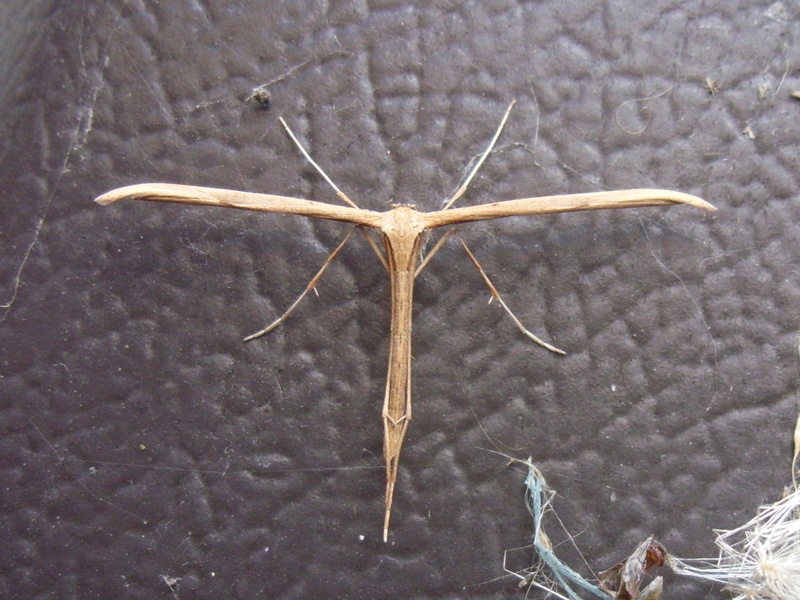 There are well over 30 species of plume moths resident in the UK, believe it or not – in our locality they are mostly common plumes, although I realised last year that a lot of them are probably brown plumes, which are very similar. 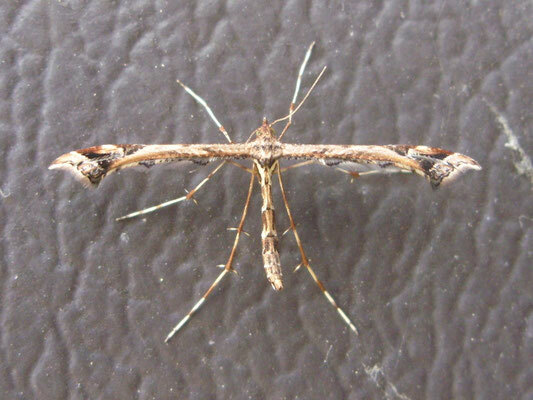 The beautiful plume is quite different – beautiful in fact – and is also relatively common, although nowhere near in the league of the other two. What I believe we have here are – top left: beautiful plume, top right : brown plume and bottom: common plume, all within a few feet of each other on the outside wall of the warehouse.